On Saturday 16th February, Trevor Rawson, Trunk Island Officer, spotted 4 holes along the coast of Trunk Island occupied with longtails, as well as 6 different longtails courting in the air above the island. These sightings were the first to be spotted by Bermuda Zoological Society [BZS] staff in Harrington Sound this season. 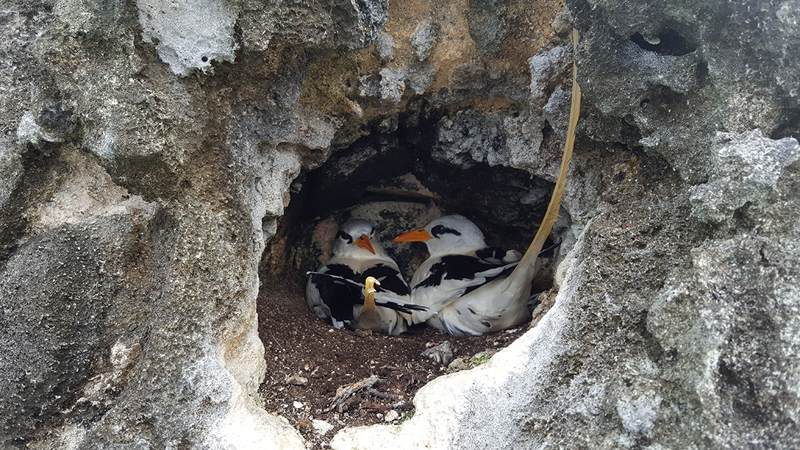 A spokesperson said, “Longtails first arrive in Bermuda between late February and the end of March and pairs of birds can be seen in aerial courtship throughout Spring. At the end of April and beginning of May a single egg is laid in the nest cavity. “The egg is incubated in turn by both parents for 42 days with most hatching in June or July. The parents return to the nest over the course of the summer with squid and small fish for the growing chick. The chicks fledge [grow flight feathers] and depart in late August and September. 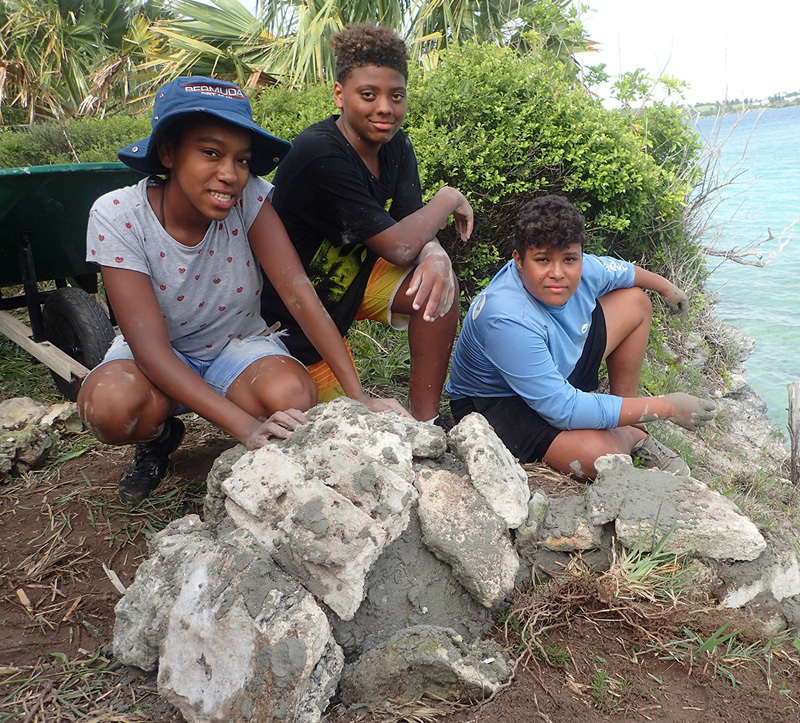 “For the past four summers, 12-13 year old students taking part in the residential conservationist camp on Trunk Island have been installing 2-3 longtail igloos on the island, to provide nesting areas for the returning birds. Many of these students later became BZS Junior Volunteers [JVs]. Saltus Grammar School student, Jordan Davies, was a conservationist in the summer of 2016, became a JV in September of that same year and is now a junior staff member at BAMZ said, “The experience of installing igloos was phenomenal and I enjoyed it so much. “Especially being able to work with Dr Wingate and getting to be there right next to him helping install these homes for these amazing birds. As amazing as it was, it is even better to go back and see that the longtails are living in the igloos that we installed. It really is a great feeling and I am so happy that I had the opportunity to do help the longtails. 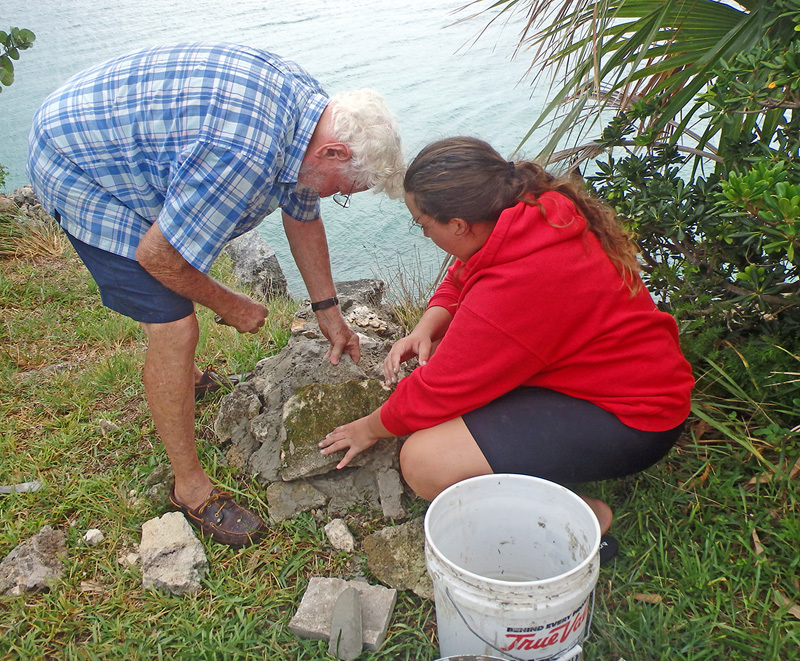 To learn more about Trunk Island, register your children for this year’s Aqua Camps, or to volunteer and get involved, please visit our website at www.bzs.bm. So where do they go when they leave. Nice! Love to see the longtails. The Trunk Island project and the people involved are a treasure. Always a pleasant sight to see! Thanks for the work building nests guys!! Rodents at night can climb trees also get in peoples roof and EAT BIRDS EGGS. Rodents spotted all over the island, it is their breeding season at 6 /8 ++ in one go. Got 5 this year with another 3 young ones in the last two nights. Unless you absolutely know what you are doing call the exterminators. Note :- Spring traps are dangerous to set. Set 2 glue with lots of peanut butter or de hydrated potato in and around traps, set like a clam shell or venus fly trap for the older big ones. Do not leave any food laying around guaranteed they will find it. Rodents go after animal / dog droppings and can chew into plastic trash containers. Rodents hang aroung supermarkets and restaurant kitchens and your warm kitchen.